How many lives do you need to live before you find someone worth dying for? In the aftermath of what happened at Sword & Cross, Luce has been hidden away by her cursed angelic boyfriend, Daniel, in a new school filled with Nephilim, the offspring of fallen angels and humans. Daniel promises she will be safe here, protected from those who would kill her. At the school Luce discovers what the Shadows that have followed her all her life mean – and how to manipulate them to see into her other lives. Yet the more Luce learns about herself, the more she realizes that the past is her only key to unlocking her future…and that Daniel hasn’t told her everything. What if his version of the past isn’t actually the way things happened…what if Luce was really meant to be with someone else? Oh my wow! Lauren Kate really blew me out of the water with this sequel. I have to admit I wasn’t a real fan of Fallen when I read it last year. But the covers to these books are so incredible you have to have them. They are hands down my favorite dust jackets in YA right now. 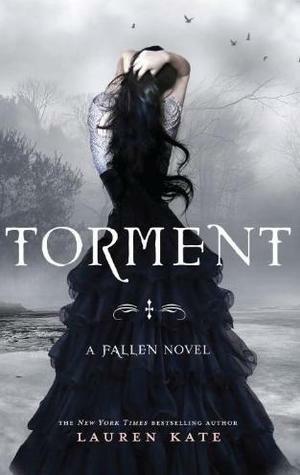 I would recommend picking up Fallen and doing a refresher before reading Torment. There are parts where you will be totally lost unless you remember the plot and characters from the first in the series. Torment really sucked me in quickly and I finished feeling like I need more. I think Lauren Kate has matured and deepened. The first big change that I saw in Torment was Luce’s personality. Finally she is breaking out of the love sick innocent doe eyed girl into her own strong presence. She stops accepting everything at face value and starts looking for answers on her own. You go girl! I like. Second big change is the introduction of Miles. He added a new dimension to Luce’s solitary clueless life at her new school Shoreline. He’s good for her and Daniel, shakes things up a little. My favorite chemistry in Torment was between Luce and Miles during their travels into her past. And my second favorite scene is watching him throw some serious loops in the plot during Luce’s Thanksgiving dinner. It is awesome that he’s man enough to take on Daniel and fight for what he wants. This book will keep you on your toes, nothing is a given, there is no black and white anymore. Things that were taken at flat face value in Fallen have been flipped and twisted. You’d think Polly Martin would have all the answers when it comes to love—after all, her grandmother is the famous syndicated advice columnist Miss Swoon. But after a junior year full of dating disasters, Polly has sworn off boys. Now she’s just trying to survive her summer job at Wild Waves Western-themed water park (under the supervision of ex #3, Sawyer Holmes) and focus on herself for once. So Polly is happy when she finds out Grandma is moving in for the summer—think of all the great advice she’ll get. But Miss Swoon turns out to be a man-crazy sexagenarian! How can Polly stop herself from falling for Xander Cooper, the suddenly hot skateboarder who keeps showing up at Wild Waves, when Grandma is picking up guys at the bookstore and flirting with the dishwasher repairman? And why, despite her best intentions, does Polly keep letting boys get in the way of her relationship with her best friend, Jane? No advice column in the world can prepare Polly for what happens when Jane persuades her to go on a group camping trip with three too many ex-boyfriends and the tempting Xander. Polly is forced to face her feelings and figure out if she can be in love—and still be herself. Every once in a while I come across a book that just clicks for me. This was one of those books. Sydney Salter is a local Utah author I met at Authorpalooza on Saturday and picked up a signed copy of her book. I sat down to read it and less than 24 hours later was done with a smile on my face. Swoon At Your Own Risk is a light, fun read that in my opinion is perfect for teens. Polly, the main heroine is looking for a little bit of distraction from her not-so-perfect life and tries out quite a few relationships back to back. Things get a little confusing when she is forced to work with her ex-boyfriend Sawyer at the local water park. Add a few more ex’es in the mix along with her neighbor Xander and you have one interesting summer. As Polly becomes the main topic of her co-worker gossipy blog, she has to try to figure out who she is and what she really wants. Will she be plastic Polly with a fake smile and lots of jokes, or the real person who is hurting? Meanwhile Polly’s Mom is working at the local burger joint and her dad has forgotten she exists. Along comes Xander, someone Polly has known since elementary school, but boy has he changed….gotta say I love Xander. He is the yin to her yang, and brings her right to where she needs to be. Who wouldn’t want a friend who writes prose, plays ball with your little sister and folds you paper cranes? My favorite scenes with the two of them…cliff diving and a party where he shoes up with another girl to make Polly jealous. Swoon At Your Own Risk will keep you chuckling, yet it still addresses issues that so many teens today face: finding yourself, healing after a parent’ divorce, and being a true friend. Truly it was such a fun read, that I will definitely read Sydney Salter’s other books. I picked up Infinite Days at the store after our interview with author Sheralyn Pratt who highly recommended it. Within the first couple of pages I discovered it was “another book about vampires” and I almost put it down…so glad I didn’t! Rebecca Maizel is a masterful spinner of stories and she left me captivated. It’s been several days since I finished and I can’t seem to get my mind off of her book. The first thing that drew me in was the cover. Five stars to that. It is made of opalescent paper which shimmers when light hits and the photo itself fits the book perfectly. It’s one of those covers you’ll want to touch and feel quite frequently. So while author Myra McEntire carries her books as a woobie blanket, I pet my covers for comfort. But, on to inside the cover, which just blew me away. The beginning scene introduces Lenah Beaudonte, left to hibernate for 100 years and changed by the pure love of her soul mate Rhode Lewin into a human. Her past life as vampire queen in Hathersage, England is transformed into a new beginning as a High School Junior at a prestigious private school on the East Coast named Wickham. The thing that I love about Lena is her innocence in experiencing life. She re-reads human emotion and relishes in every day things we would normally take for granted like the sun on our skin. Two of my favorite scenes are of her standing in the rain and in a greenhouse with newly developed human senses of touch and smell. Of course it helps that Justin Enos,the schools biggest hottie is there with her! Which beings me to another reason I love this book. She has several layers of life all brought into one day and time, and as well several love interests to spice things up. Rhode, who changed her, Vicken whom she created and Justin in the present day. My prediction is that all three men will play a part in the sequel and things are about to get very interesting. The overall theme that I picked up was that evil thoughts lead to evil actions, and it is pure intent which matters most. Change is possible and can ultimately mean the difference between life and death. Between flashbacks and a menagerie of interesting scenes from her past you will get sucked into the plot. And Rebecca has a way of awakening your senses along with Lena’s with chocolate chip cookies, the different colors of a grain of sand and the smell of an apple orchard. Truly a memorable debut. To learn more about Rebecca Maizel visit her website at http://rebeccamaizel.blogspot.com/ where you can enter to win a free audiobook and read excerpts from Infinite Days. Sailing aboard her father’s trade ship is all seventeen-year-old Camille Rowen has ever wanted. But as a girl of society in 1855 San Francisco, her future is set: marry a man she doesn’t love, or condemn herself and her father to poverty. On her final voyage before the wedding, the stormy arms of the Tasman Sea claim her father, and a terrible family secret is revealed. A secret intertwined with a fabled map, the mother Camille has long believed dead, and an ancient stone that wields a dangerous—and alluring—magic. The only person Camille can depend on is Oscar, a handsome young sailor whom she is undeniably drawn to. Torn between trusting her instincts and keeping her promises to her father, Camille embarks on a perilous quest into the Australian wilderness to find the enchanted stone. As she and Oscar elude murderous bushrangers and unravel Camille’s father’s lies, they come closer to making the ultimate decision of who—and what—matters most. 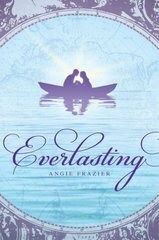 Beautifully written and feverishly paced, Everlasting is an unforgettable journey of passion, secrecy, and adventure. This is one of those timeless books that sets itself apart as a classic. Angie Frazier has a way of slowing time down to match the era and place it is set while the mystery and adventure will keep you captivated. It reminds me a bit of Crocodile Dundee with a dash of Somewhere in Time meets the movie Hook. Angie is a masterful story teller who weaves fantasy and romance. Camille, the main heroine is a woman of the sea. raised on the decks of her fathers’ ships, taking in the salty air and building a strong friendship with her father’s right hand man, Oscar. She is engaged to be married to another man and about to give it all up to live in society. Camille should be happy, but can’t help questioning where are the sparks? As she embarks on her last voyage a twist of fate unravels family secrets, a letter and a curse. Her history is not what is seems and her heart will be challenged between loyalty or love. Will she respect her father’s wishes or make a way of her own? Readers will fall for Oscar and become entranced with the tale of a treasure map and stone with the ability to save a life. I absolutely can not wait for the sequel! Four and a half stars to an awesome debut novel! Follow @angie_frazier on twitter and visit her website at http://angiefrazier.com/ Be sure to shcek out our Everlasting swag store on Etsy at LittleRedReads. To enter to win an author signed bookmark donated by Angie, please leave your name and email address below. Contest ends September 16, 2010 and is open internationally. description: Sophisticated New York playwright Lori Scott feels like a failure when her producer boyfriend calls it quits on both their relationship and her first …more Sophisticated New York playwright Lori Scott feels like a failure when her producer boyfriend calls it quits on both their relationship and her first play. On a dare, she throws a dart at a map and ends up moving to Brigham City, Utah, where she plans to set aside writing, religion, and men to focus on her new career substituting as The Garden Guru for the local paper. But fate has something else in mind. When she accidentally lights her house on fire, Lori has no idea of the sparks that lie ahead. Will she be able to resist the charm and persistence of local firefighting hero John Wayne Walker? Will old hurts and fears cause her to turn her back on the best thing that’s ever happened to her? Author Heather Horrocks brings a fresh, fun voice to this delightful contemporary romance about following your heart, finding true love, and wrestling with a basket full of zucchini! I have to admit with summer being almost over I have been on a little chick lit binge and what a blast it has been. This one I picked up while used book shopping because I loved the cover. I was expecting a funny light hearted read, but the message in this book left a deep impression with me. It started out a bit slow and I had a hard time connecting with the main female character Lori, however, by the last couple of chapter I had tears. What influenced me the most was the integrity and deep love of main fireman, John Wayne Walker (yes, it is a cheesy name) He follows the whisperings of his heart even when they seem far fetched and sticks by Lori when she is ruled by fear. Heather Horrock addresses strained parental relationships, divorce, and infertility in a way that readers will internalize and understand. Lori brings a lot of baggage with her by John handles it in a way I wish all men would. He is just plain amazing! The other surprise development for me was how I felt about the hometown writer Lori comes to replace while he vacations in China, and his neighbor Agatha. Their story is heart warming. Heather spiced up this book with Garden Guru column excerpts in between chapters full of quirky comments and garden advice. Overall, it is a book I would re- read and recommend to others. It is completely clean, romantic and has a good message. Toss in quite a few zucchini and you have the perfect summer combination! What a refreshing read! 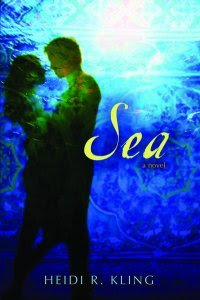 Synopsis: Haunted by recurring nightmares since her mother’s disappearance over the Indian ocean three years before, fifteen-year old California girl Sienna Jones reluctantly travels with her psychiatrist father’s volunteer team to six-months post-tsunami Indonesia where she meets the scarred and soulful orphaned boy, Deni, who is more like Sea than anyone she has ever met. She knows they can’t be together, so why can’t she stay away from him? And what about her old best friend-turned-suddenly-hot Spider who may or may not be waiting for her back home? And why won’t her dad tell her the truth about her mother’s plane crash? The farther she gets from home, the closer she comes to finding answers. Ever since I first read about Heidi’s book on Twitter I was intrigued by premise and elements of the story. The teasers started a creative flurry of activity for me of photos and jewelry, and I requested our local Barnes and Noble order it in. The wait has been long, but worth it. What an outstanding debut novel by Heidi R Kling. Sea is lyrically written from the eyes of Sienna, a young girl who suffers from PTSD and nightmares after losing her mother. Once filled with adventure and a love of the ocean, she has changed. When her father, a renowned world psychiatrist gifts her a trip to Indonesia with Team Hope, Sienna is forced to face her biggest fears. From her childhood friendship with a surfer named Spider, to touching lives at an orphanage in Yogyakarta; this book brought me to tears. It’s one that leaves you thinking and feeling hopeful for the power of change. Love overcomes loss as Deni shows Sienna that a choice must be made to live each new day. SEA will stick with you for a long time as will the impressions of post-tsunami recovery in Indonesia. It’s a meaningful, culturally rich novel with purpose. And this is one of those reviews where I feel like words aren’t adequate to describe my experience. So much of SEA is what I felt inside. Thanks to Heidi R Kling for sharing her talent. Synopsis from Back Cover “Deciding to go “off grid” for a while, Rhea Jensen can think of no better place to disappear than Utah. She settles into a quiet Mormon lifestyle-unless you count skydiving, race car driving, mountain climbing, and overly obsessive workouts. But when her best friends, Kay, tips her odd to a stalking case, Rhea takes the job out of shear boredom. Only then does she realize two things–first being good is hard; and second, she know way too much to get out of the PI game. Give in to temptation, I did… I took it home and started reading, knowing full well the new book would be different. Luckily, I only got a few hours into it when ta da…just like magic, the fresh new package showed up. Have to say, it was worth reading both versions of the book, repeated plot and all. 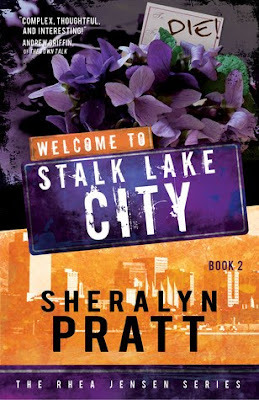 One just can’t get enough to Sheralyn Pratt’s characters! If you are interested in joining our book/ARC tour, email us at fireandice.heather@gmail.com to be added to our list of reviewers. Lavish parties. Passionate meetings in the night. Bone-chilling murders. Midterms. The day-to-day life of Schuyler Van Alen and her Blue Bloods friends (and enemies) is never boring. But there’s oh-so-much more to know about these beautiful and powerful teens. Below the streets of Manhattan, within the walls of the Repository, exists a wealth of revealing information about the vampire elite that dates back before the Mayflower. In a series of short stories, journal entries, and never-before-seen letters, New York Times bestselling author Melissa de la Cruz gives her hungry fans the keys to the Repository and an even more in-depth look into the secret world of the Blue Bloods. Won’t you come inside? I enjoy reading Melissa’s blue blood series and am a fan of Shulyer and Jack, however this book is a side step off the pure story telling we are used to. 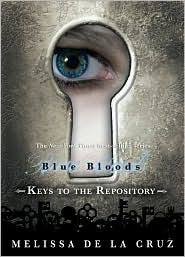 Keys to the repository is an anthology of family history, maps and secret files compiled in the Blue Bloods library. Many of the files are dry reading and much of is is a repeat from the previous novels. It is a great book of reference if you are just reading the series for the first time and wan tot know who is who. Melissa is obviously a history buff who has thought through her characters carefully and charts their lines through time. I give her kudos for being so intelligent and thorough. Beyond the library file chapters there are however, are some secret treasures that made it a worthwhile read. Schulyer and Jack’s chapters on their meetings in the apartment in New York are a neat look into what they were thinking and feeling. There is also a chapter called wolf pact which introduces continuing story of Bliss Llewellyn and an excerpt from the first book in new a series about wolves. It is more graphic that anything Melissa has written with violence, but interesting for those wolf girls and guys out there. Synopsis from Goodreads…”Three years ago, Sophie Mercer discovered that she was a witch. It’s gotten her into a few scrapes. Her non-gifted mother has been as supportive as possible, consulting Sophie’s estranged father–an elusive European warlock–only when necessary. But when Sophie attracts too much human attention for a prom-night spell gone horribly wrong, it’s her dad who decides her punishment: exile to Hex Hall, an isolated reform school for wayward Prodigium, a.k.a. witches, faeries, and shapeshifters. By the end of her first day among fellow freak-teens, Sophie has quite a scorecard: three powerful enemies who look like supermodels, a futile crush on a gorgeous warlock, a creepy tagalong ghost, and a new roommate who happens to be the most hated person and only vampire on campus. Worse, Sophie soon learns that a mysterious predator has been attacking students, and her only friend is the number-one suspect. Readers of Harry Potter will enjoy Hex Hall. Main character Sophie is sarcastic and snarky. Her roommate Jenna is a vampire and love interest a warlock. Add in three evil female witches, a ghost from her past along with Lord Byron… and you have Hecate Hall! I bought this book after reading so many of LadyHawkins tweets on Twitter. She has that same sassy personality that shines in her debut YA novel. My favorite scenes were the hours spent bantering, fighting and spending suspension between Archer and Sophie. What a combination those two are. I love Archer, he’s a keeper. And I can’t wait for book two so we can learn more. It is a shocker of an ending! 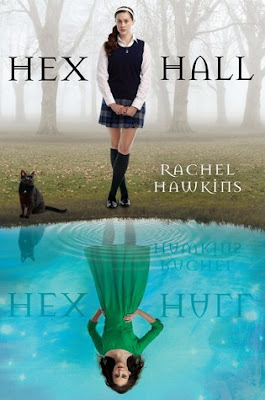 I gave “Hex Hall” 3.5 teetering towards four stars. There were references to jewelry in the book Of course, I was all over that! Enter the Jenna inspired bloodstone necklace giveaway below. The hero, Zan-Gah seeks his lost twin in a savage prehistoric world, encountering suffering, captivity, conflict, love, and triumph. In three years, Zan-Gah passes from an uncertain boyhood to a tried and proven manhood and a position of leadership among his people. Themes: survival, cultures, gender roles, psychological trauma, nature’s wonders and terrors. I received a signed copy of this book in the mail from the publisher for review on our blog. I must say I had never heard of preshistoric fiction so it was a completely new genre for me. 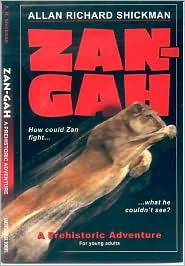 The first couple of chapters which describe Zan’s encounter with a lioness and becoming a man in his tribe were a little slow. As he grows into a man and travels in search of his twin brother, things pick up. The landscapes and people he encounter are fascinating and vivid. I found myself wishing there were more detail about red haired, green eyes Lissa-Nah the priestess, her culture and background. I also was disturbed by the graphic detail in chapter 10 as Dael starts to reveal his psychological scars and kills a man. I really think the gory details could have been left out to make it more applicable and suitable for a younger reader age 11. What caught me were the wasp people and the interesting conditions of life that Zan-Gah comes across. The portraits nature will stick with you after you put down the book. I give it three stars and congratulate author Allan Shickman for going out on a limb to incorporate the themes of anthropology, psychology and coming of age.